ePayments Week: Will NFC add value? 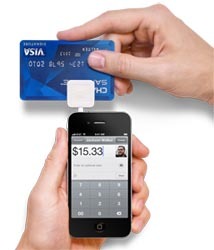 Square asks, who needs NFC? Fire's threat to iPad, and UK mobile broadband use. Here’s what caught my eye in the payments space this week. He may have a point that the particular technology matters less than the mobile wallet itself. We could do pretty much the same thing by using through-the-cloud technologies (as Bump does) or direct billing (like Boku or Zong). But I think he’s overlooked the clear value that seems likely to come to merchants as consumers ditch plastic for mobile wallets. Merchants can administer reward and loyalty programs more efficiently if they’re managed through phones rather than on rubber-stamped cards. Merchants can deliver location- and time-specific coupons if they are acquainted with a customer’s phone. Placecast is showing how you can deliver offers within a geofenced area. Merchants will also have the opportunity to move discounts quickly if they need to clear inventory. All of that is theoretically possible today with Twitter, but first you have to get them to follow you. Once someone has paid with their phone, presumably it’s a lower barrier to get them to agree to receive offers via that phone. Merchants can dynamically steer customers to their best payment option. If PayPal offers a lower percentage for a period than the merchant’s credit card service, the merchant can offer products or services at a discount and let the customers choose on their devices. The benefits for consumers may be a bit less clear and are likely to be a tradeoff: it’s our data that we’ll be giving up in exchange for being on the receiving end of those benefits listed above. In other words, your digital trail in exchange for daily coupons and every 10th cup of coffee free. 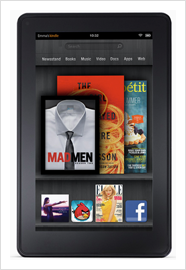 Should Apple worry about competition from Amazon’s Kindle Fire? The quick consensus seems to be “no” since these are different devices for different functions. Still, I couldn’t help myself from making the comparison between this contest and the dramatic rise of Android handsets against the near leveling of the iPhone market. Most reports on the Android versus iOS competition seem to pit the two evenly, as if it were in bad taste to mention that many Android phones cost hundreds of dollars less. Geeks might choose their smartphones based on their affection for Google or Apple. But you only need to visit the AT&T kiosk in your local mall and watch the purchasing decisions to get a truer picture of what’s driving this race: cost. Apple’s iPhone may be an object of beauty, inside and out, but when you’re on a tight budget, you’ll put up with the carrier’s user interface. The same thing could happen with Fire and iPad. Fire may not offer anywhere near the same capabilities as the iPad — though with its ability to access web services via its Silk browser, it may not lag far behind. But there are many millions of customers who won’t have to think long and hard to save $300 if they can still have movies, TV, books, games, and the web, all on a color touchscreen. Steven Levy in Wired noted that even if Fire isn’t a threat to Apple’s iPad, it will certainly be one to Barnes & Noble’s Nook and to Netflix. At a time when half of Netflix’s membership seems to be furious with the company, many are sure to notice they can get a whole new world of streaming for $79 a year from Amazon Prime. Customers use more mobile broadband services, and they use mobile broadband more frequently, when the capability is built into their devices and not used as an add-on (for example, a USB dongle or stick). This not-too-surprising finding comes from YouGov UK’s recent survey of 2,552 British mobile broadband users. It reinforces the suspicion that the easier you make it to get to online services, the more likely they are to get used. Certainly, there’s some allowance built into those results for the dongle or stick getting lost or just stuck at the bottom of the backpack. But it also seems likely that those who buy a device that’s capable of reaching the web are more likely to use it than those for whom it was an afterthought.